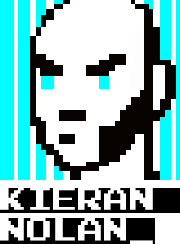 The Lost encylopedia Lostpedia features an overview of alternate reality game The Lost Experience. A true multimedia treasure-hunt, spanning tv, telephone, newsprint, a novel, the web and even confectionary. All of which lead to fresh information on the Hanso Foundation and the DHARMA initiative, adding more layers to the Lost mythos. Season 3 begins on RTÉ 2 this week, though thanks to Bittorrent it's been possible to download the new episodes hours after their airing in the States. Maybe it's time tv series are released simultaneously worldwide the same way major cinema releases are (an upside of the fight against illegal digital distribution). 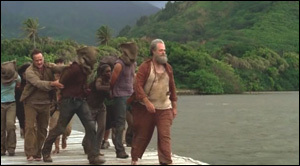 Though in fairness RTÉ seem to be first station in Europe to show Lost s.3 (Sky won't have it for another 2 weeks). 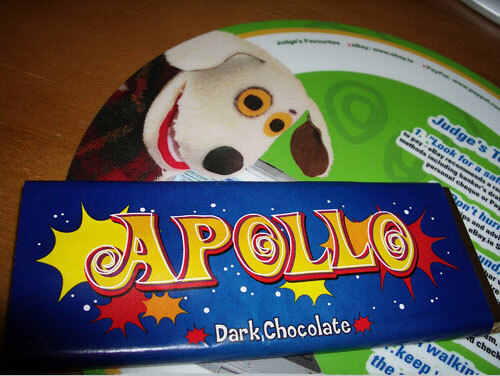 Anyhows I'll still watch the episodes on RTÉ, pick up the boxset, play the video game etc… I'm eating my Apollo chocolate bar as I type this (didn't post it on whereisalvar.com though). Namaste.